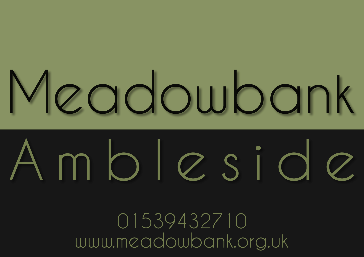 Thank you for choosing to book with MeadowBank. We look forward to welcoming you. When you make this booking you are entering an agreement with us. Please read our terms and conditions of booking below. The price includes bed and breakfast. Unless clearly stated on the booking form all extras such as additional meals, packed lunches etc are additional. We accept the following forms of payment: cash, cheque with bankers card, debit cards, credit cards. Double or twin rooms taken as a single room incur a £20 supplement per night. This includes if a room is booked for 2 persons and 1 of them does not stay for the full length of the booking. Well behaved pets are permitted BY PRIOR ARRANGEMENT. Your pet is welcome provided they are not left in the bedroom unattended or brought into the public rooms at a charge of £10 per stay. Damage caused by your pet will be charged to your account. To ensure maximum letting potential from our rooms we occasionally hold rooms for longer lets and would therefore decline a shorter booking. Once you booking has been confirmed we would only cancel your booking if your accommodation was unavailable for reasons beyond our control. We would attempt to offer you alternative accommodation, however if this was not possible, or unacceptable to you, then we would refund all monies paid by you. Our liability would not extend beyond this refund. Your accommodation is available to you from 2pm on the day of arrival. You are very welcome to park your car in our car park before this while you go and explore. Please inform us if you want to do this. Please be ready to leave your accommodation by 10.00am on the day of departure, unless otherwise arranged. Your bill for the accommodation and any extras or services taken during your stay is payable on departure. Any data gathered during the course of this booking may be held on computer. This is not shared with any other bodies. We look forward to welcoming you to MeadowBank.